Happy International Women's Day (March 8)! Today is a global celebration of the achievements of women. It also marks a call to action for accelerating gender parity. ColoWrap wants to honor the accomplishments of female gastroenterologists AND highlight gender disparities that are narrowing but are not yet resolved. We are sharing an updated version of a 2018 post to reignite the conversation. 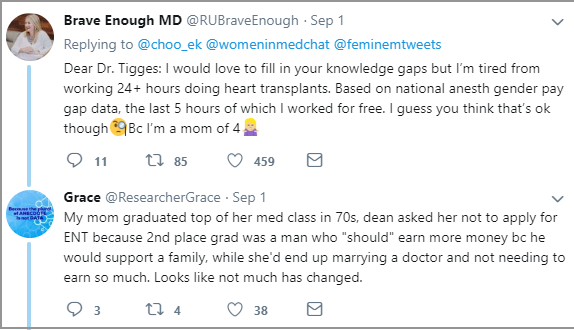 One physician’s response to a Dallas Medical Journal survey has evoked angry retorts and refueled discussion about inequities between male and female physicians. 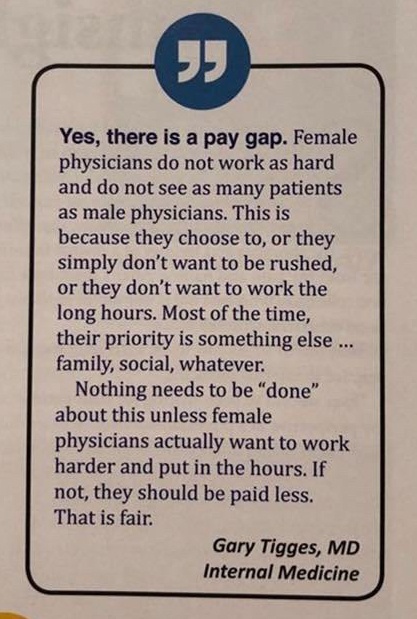 Dallas County Medical Society members were asked if there was a pay gap between male and female physicians, and if so, how it could be remedied.